Above: Dr. Seltzer performs cataract surgery on a patient Tuesday morning at Carolinas Centers For Sight, P.C. using a LenSx femtosecond laser and ORA (optiwave refractor analysis) to get the most precise eye measurements as possible once a cataract is removed and before a new lens is implanted. Photo by Joe Perry/Morning News. 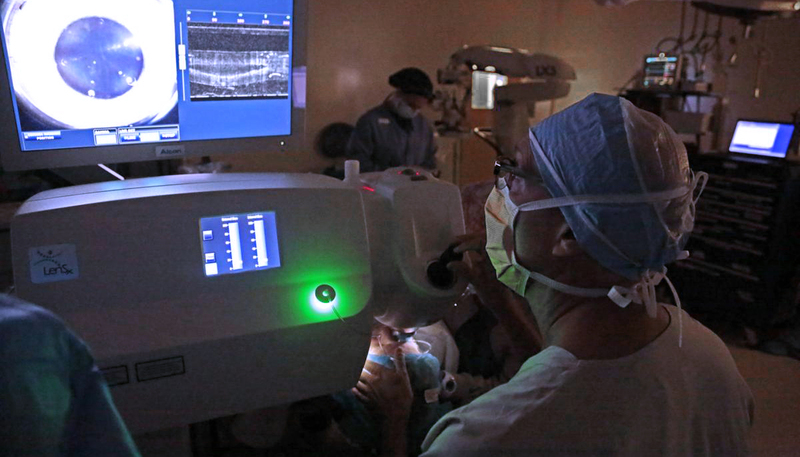 Dr. Samuel Seltzer has performed cataract surgery more than 50,000 times. “And counting,” said the ophthalmologist who practices at Carolinas Centers for Sight, P.C. Adhering to writer Malcolm Gladwell’s theory of skill perfection requiring 10,000 hours of practice, Seltzer said surgery is a skill that he’s enjoyed honing over a 30-year career. With recent technological advances, though, he’s been able to practice his craft at a much higher level. Utilizing a LenSx femtosecond laser and incorporating ORA (optiwave refractive analysis) into the equation has simply made him better at this job. Seltzer said he always knew he wanted to be a doctor. “Science was my thing,” said the Yale University graduate, who earned his undergrad degree in molecular biophysics and biochemistry before earning his M.D. from the Milton J. Hershey Medical School at The Pennsylvania State University. 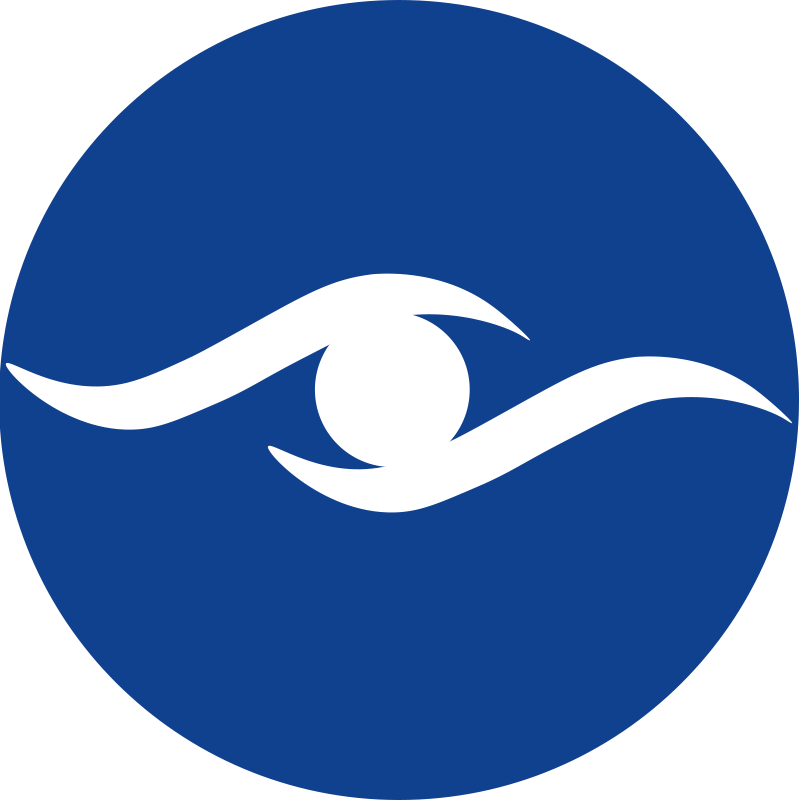 Since founding Carolinas Centers for Sight, P.C. 28 years ago, he and his colleagues have enjoyed a sea of change in technological advances. The next 10 to 15 years probably will see further breakthroughs. Normally, light passes through the lens of the eye, which is clear, onto the retina. Made of water and protein, the lens adjusts and focuses what you are seeing, and the retina processes the images. If proteins begin to clump, cataracts are formed, and one’s vision becomes clouded and blurry. According to the National Eye Institute, most cataracts are related to aging and become increasingly common as you get older. By age 80, more than half of all Americans either have a cataract or have had cataract surgery, the NEI states. “Traditional cataract surgery is one of the most common and successful surgeries performed in the world today,” said Dr. Vivek Vasuki, a colleague of Seltzer and Dr. Howard Greene at Carolinas Centers for Sight, P.C. Femtosecond laser technology, Vasuki said, has made cataract surgery safer with faster healing and better outcomes. What ORA has done, Seltzer said, is to allow for exact measurements once the cataract is removed and before a lens is implanted. “It’s actually the most major advance that’s come out in probably the last 10 years,” he said. Before it was incorporated, he would have had to take measurements through the cataract which could be imprecise. At its simplest level, cataract surgery involves two steps. “You take the cloudy lens out and put the clear lens in,” he said. With ORA, he found himself changing the lens power in 1 out of every 3 patients. “This increased precision also makes choosing multifocal implant lenses to see near and far without glasses more attractive to patients,” he said. Seltzer said at the end of the day, outcomes are the main measure of success.